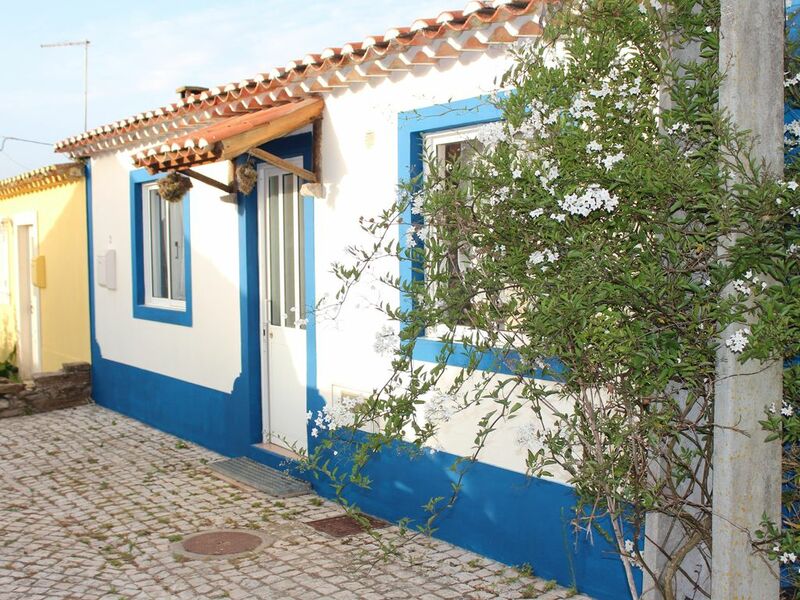 The small holiday home was renovated in 2017 and is located in a small village (Cabeço da Vela) directly on the Estrada Atlantica. The beautiful bays of São Martinho do Porto and Foz do Arelho are only a few minutes away by car. It is about 30 minutes to the well-known surfing hotspots Peniche and Nazaré. In 10 minutes you can reach the motorway and Caldas da Rainha (50'000 inhabitants). There are numerous shops, a nice market, fish market, doctors and a hospital. The historic town of Óbidos is just 15 km away. For wine lovers, we recommend a trip to Palácio da Bacalhôa, 20km away. Golfers will also get their money's worth here (eg Royal Óbidos Golf Course). The house is in a quiet location and offers a small courtyard with outdoor shower and barbecue. It is about a 60-minute walk to the next bay of Foz do Arelho. The house has a spacious bedroom, a living room with kitchenette and a bathroom with shower. The house is modern furnished. For 2 people the house offers a pleasant comfort. The use of the sofa bed in the living room, makes an occupancy of up to 4 people possible. The house has free Wi-Fi and cable TV. A car is recommended. At the house there is a small parking space for a car (only suitable for small cars). The alley to the house is hardly traveled, very narrow and with a steep slopes. The house is perfect for a relaxing holiday. Cabeço da Vela offers the opportunity for a peaceful and relaxing holiday and is centrally located in the middle of the Portuguese Atlantic coast, with easy access for a fun-filled holiday in Portugal. Whether sport, culture, beautiful landscapes, beautiful beaches and good food, the region fulfills vielfätige holiday wishes.